The allosaurus was a large bipedal predator that lived 150 million years ago! The name, Allosaurus, means different lizard. The Allosaurus was on top of the food chain and most likely preyed on other dinosaurs! 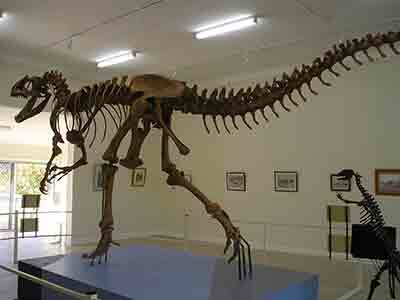 Most scientists believed the Allosaurs had a co operative social behaviour and probably hunted in packs.